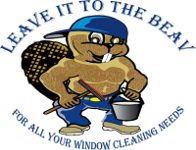 Beav's Window Cleaning is hiring! Beav's Window Cleaning is a drug free work place. You can download our Drug-Free Workplace Policy by clicking here. Note: We perform pre-employment background checks on all employees.